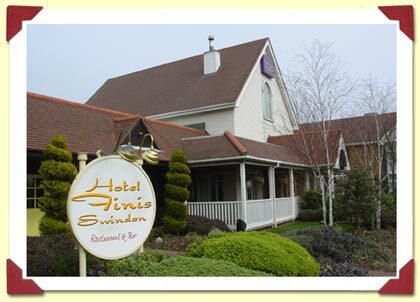 The updated Finis Hotel, remodelled in 1998, was where Thursday Next stayed on her return to Swindon in 1985. Her bedroom, (8128) was preserved and is now a museum, complete with animatronic dodo and momentoes of her visit. Admission charged.